When the sun is out there is nothing better than sitting by the water, soaking in the view and the rare but gorgeous rays of sunshine! 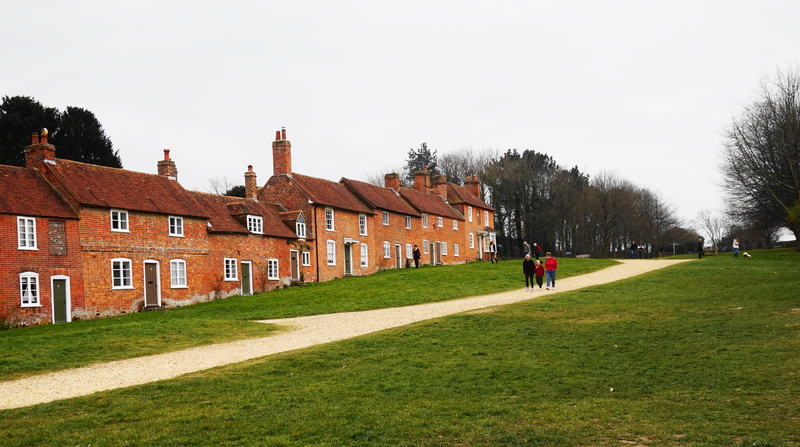 And one Saturday we did exactly that; got ourselves into my little Fiat 500 and made the short half an hour drive to Bucklers Hard in the New Forest, Hampshire. 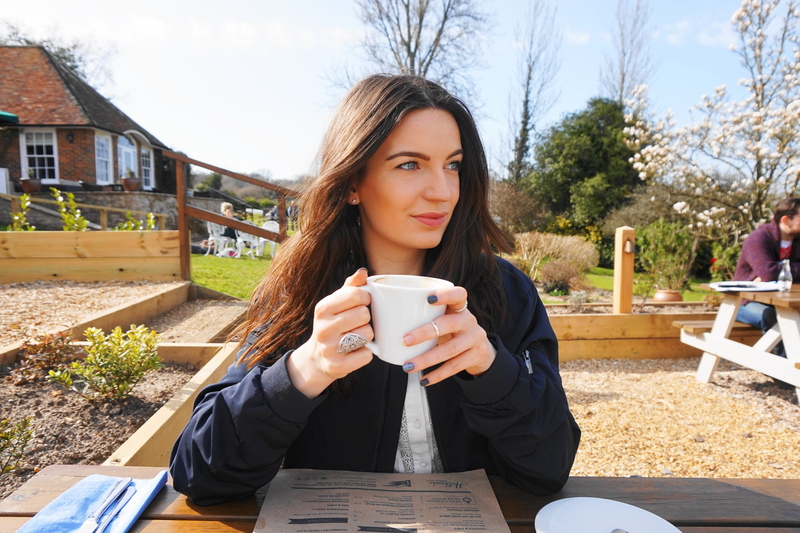 We had lunch at the Yachtsman’s bar & garden, sitting ourselves outside to make the most of the weather and the Hampshire Countryside. 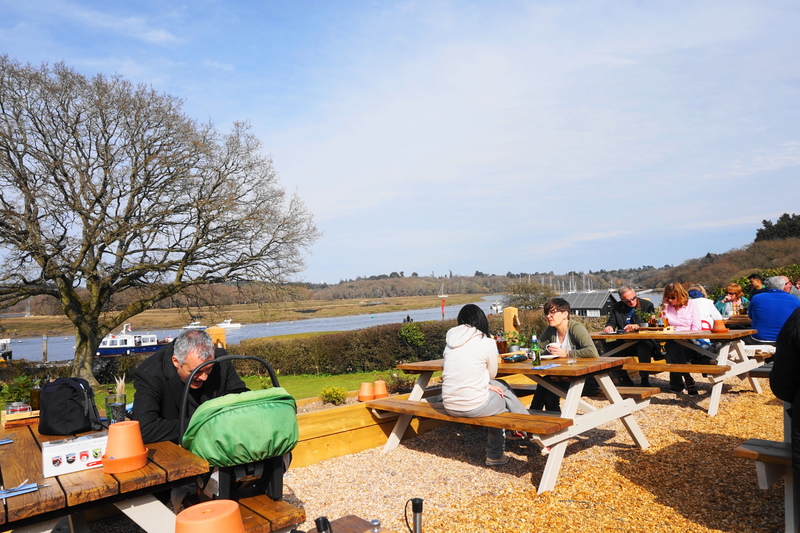 The garden restaurant boasts beautiful views of the Beaulieu River and is set in the grassy side of the Bucklers Hard village. We ordered two coffees to perk ourselves up whilst looking at the menu. It offers a great variety of dishes from pizzas to posh sandwiches to the seafood sharing platter…which we obviously had to go for at only £25, we couldn’t say no! 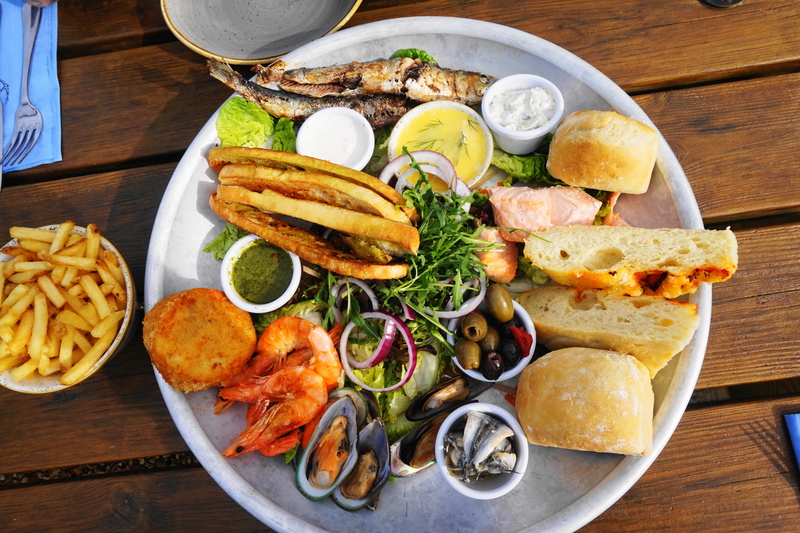 There was a little bit of everything on the platter; fish cakes, sardines, prawns, salmon and a delicious selection of breads which could be topped with the fish pate or a gorgeously fresh green pesto. My favourite combination was the toasted bread topped with the pesto and sardines. YUM! The chips were pretty good too…you can’t enjoy seafood without chips, right!? The seafood was beautifully seasoned and tasted so fresh! All the elements on the plate complemented each other beautifully from the saltiness of the olives to the creamy, homemade tartar sauce.The only thing that would’ve made the experience a little better was some nice, fat wedges of lemon to squeeze and a finger bowl. Napkins aren’t enough when you’re peeling prawns. Other than that I’d highly recommend making the trip to this beautiful part of the UK on a sunny day. Great location, delicious food and a relaxed atmosphere. The perfect combination. The riverside restaurant is part of The Master Builders Hotel which offers luxury, countryside accommodation in a historic, naval village. Previous Greek up your butter beans!